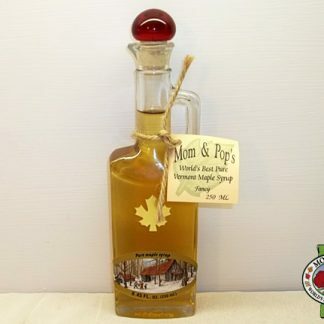 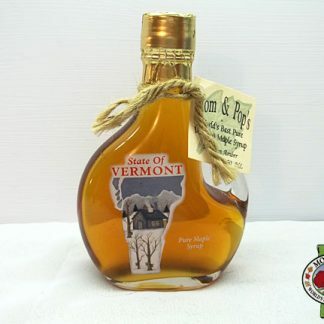 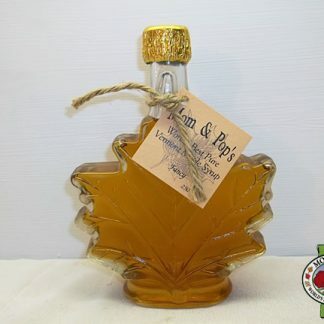 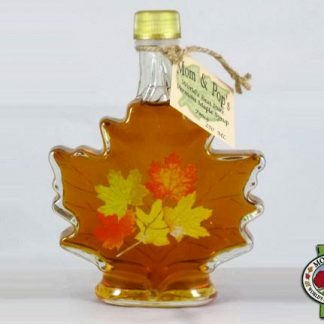 Glass bottle filled with 250 mL (8.5 oz) of Vermont maple syrup. 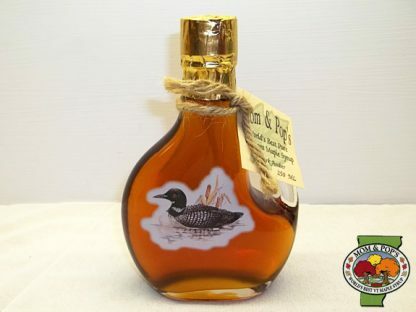 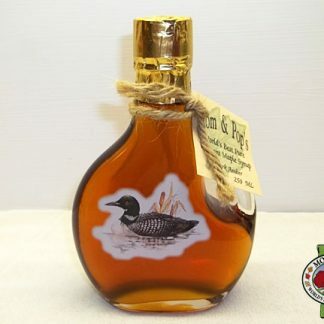 Bottle is decorated with a loon. 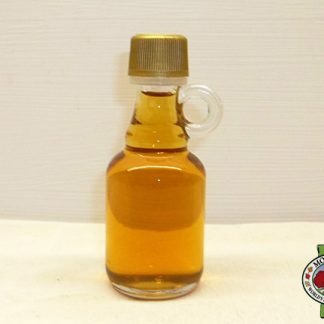 Screw-cap closure.